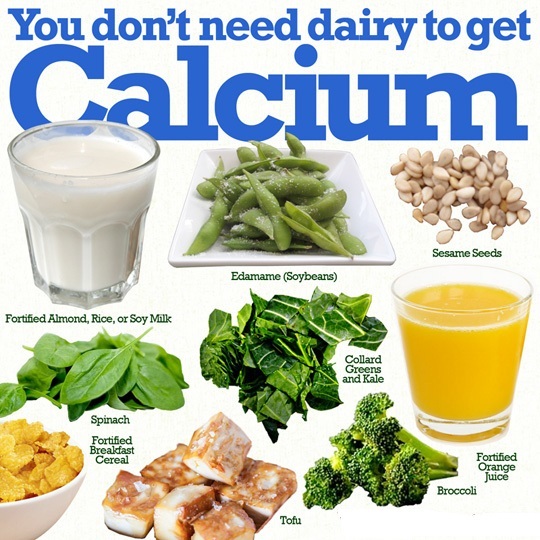 We all know that calcium plays an important role to strengthen our bones and creating blood cells. Many of us used milk, cheese, butter, paneer and other dairy products to get calcium. Calcium is very necessary for growing children. Green Leafy Vegetables: Any leafy vegetables such as broccoli or spinach have plentiful calcium. Sardine: Sardine is a marine fish which contains 33% calcium. You must have to eat once in a week. Oatmeal: You can get fiber and calcium from oatmeal. Women should include them in breakfast. Okra: You can get 40 grams of calcium from one bowl of okra. If you eat it twice in a week then you will get enough volume to make your teeth healthy. Figs: It is quite tasty dry fruit. It is high in calcium and iron. In addition, it is full of fiber. Almond: Almond milk and almond has enough amount of calcium. The other nutrients are also present in the almond. Orange: Orange contains citrus acid, calcium and vitamin C. You must have to eat orange twice in a week to improve immunity and decrease disease. You can also include lemon in your diet. Sesame: 1 teaspoon of sesame contains similar amount of calcium which you found in 1 cup of milk. Soy Milk: It does not have much calcium compared to milk. However, you can get 300 mg calcium instantly. Cheese: Every kind of cheese such as parmesan or mozzarella or cheddar. They are rich in calcium.